Of the book reviews I had yet to post, a handful of them had a rather dubious connection: characters that went off the deep end, taking others with them. Unfortunately, these stories all happened to be true. Yup. It is fascinating to read about dysfunction--more so than happiness, I'm sorry to say. Unless the happiness has been hard-won after some bouts of misery. I had a writing professor say once that "Only misery is interesting." I suppose that has some truth in it. So these books have their share of misery, coupled with some generous doses of mental illness. So if you find yourself drawn to these types of stories, dive in! Leave me a comment letting me know which was your favorite on the list. p.s. Yes, the first one on the list was from nearly a year ago! High time to get this review published and out the door! 3 stars: Interesting, but very detailed; a bit long to get through in parts. Did you know that there were 8 different attempts on Queen Victoria's life during her reign? I didn't either. 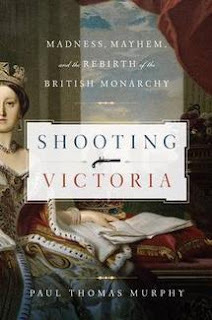 In fact, there's a lot I didn't know about Queen Victoria prior to reading this book. For each assassination attempt, Murphy goes into detail about the man who was behind the weapon. His background, family situation, previous employment, mental health, and much more. The steps and planning leading up to each crime were similarly brought forward, with a blow-by-blow account of each attempt at the climax. Then we learn about what happened to each of the men, including their trials, and any incarceration or other punishment meted out. This leads into side discussions of the judicial system in England at the time, various prisons and their histories, and so on. Back to the main topic, we also see how Queen Victoria and Albert handled each incident, and the effect on the monarchy itself. Surprisingly, each attempt greatly strengthened the love of the people for their Queen and the influence of the monarchy itself. I liked this one; it was a good read. I just had to take it a bit at a time and keep coming back to it. I didn't realize that Victoria and Albert had 8 children, nor did I remember that he died so young leaving her a widow. Their love story was neat to learn more about. Though they were diversions off the main topic, I was also interested in the way the law changed over the years, to deal with these men. The original crime for "taking a pop at the Queen" was high treason, with life imprisonment if the Queen pardoned him, or hanging if not. It became clear over time, however, that some of the attempts were copycat crimes, or for notoriety rather than actually wanting to kill the Queen, or even as a ticket out of poverty at the expense of the crown (prisoners had their room and board provided, after all) and so on. So the law and subsequent punishments were changed to administer public shame and embarrassment, rather than death or life imprisonment. If you liked this one, here are 2 more for you about the lives of royal ladies: To Be A Queen. Writing and compiling the definitions in the Oxford English Dictionary was a huge undertaking, spanning several decades, and eventually filling several volumes. The head of the project for most of that time, James Murray, decided on an extra thorough and time-intensive approach. He solicited quotations from the general public. The idea being that each quotation, from all types of literary and old texts, would show the various nuances of the word in question. The quotations then had to be read and checked and decided upon one at a time for inclusion into the OED or not. So, in the meantime, there was a Dr. Minor, who suffered from hallucinations and delusions and who murdered a man based on these delusions. Dr. Minor was locked up in an insane asylum for this murder. It was, however, certainly not a padded cell. He had a sitting room and over the years procured quite an extensive library. He lived most of his life in this asylum. 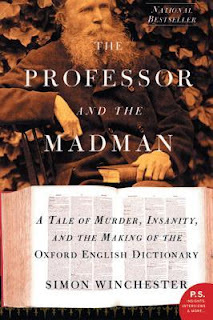 During his incarceration, he heard the call for submissions for the dictionary. This type of quotation treasure hunt amongst his books was just what he needed to fill the long days. He became one of the most prolific contributors to the OED, and even would contact Murray at times to see what words were being worked on and if there were any in particular that still needed quotations. Murray didn't realize that Minor was in the asylum until many years into their correspondence. I'm glad I read this one. I enjoy learning more about these niches of history that otherwise I would know nothing about. Now I want to go peruse the OED, though I doubt our small-town American library would have a copy. Content: Many of Minor's hallucinations were sexual in nature. While not graphically described, I wouldn't give this one to my kids to read. 3 stars: Chilling, but with some hope at the end. The Pilgrim family consisted of Papa and Mama, and 15 children. They moved up to the tiny Alaskan village of McCarthy, and proceeded to make themselves right at home. In fact, they set up living in an abandoned copper mine a ways out from the settlement, and began building a home, and making roads in to their place. As far as anyone knew, they were God-fearing Christians, who all had a bent for folk music. They were quite charming in their homemade clothes, and the children were not shy about making friends and talking to the other folk in the town. They seemed like a happy, homeschooled, "back to the earth" type bunch, who didn't care what other people though about them. The longer they lived there, however, the more trouble started sprouting up around them. It seems they didn't actually purchase the land they had settled on. Also, the National Park Service was getting pretty bent out of shape about the roads (bulldozed through federally protected land). When the NPS sent out a representative to start a dialogue about it, however, the Pilgrim family resisted mightily and vocally. McCarthy soon became split in its views as to whether or not the Park Service had the right to kick out the Pilgrims. That wasn't the worst of it. The cracks began to show in the Pilgrim family's façade of brightness and goodness, too. The children more often than not appeared woefully neglected; and became downright surly to anyone trying to talk with them. People began missing things from their homes or yards, and there began to rumors flying about the living conditions up at the Pilgrim's homestead. All was not right in the world of the Pilgrims and before it was all said and done, their story would be big news. This book had me at "Alaska Frontier." I am quite predictable that way. Anything featuring my home state immediately perks up my interest. This was quite the story. An entire family completely held captive, basically, by their father--a man who reinvented himself as needed to make his next conquest. A man who ruled his little kingdom with an iron fist, while claiming to have sanction from God. The worst kind of evil--evil that masquerades as God's will. Those poor kids, growing up in a home rampant with all kinds of abuse and neglect. It goes most into the story of the oldest daughter, and what she did that brought everything to light. 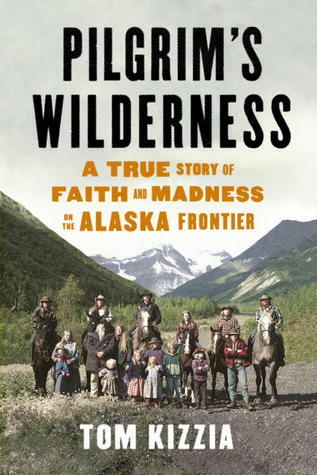 The author first came across this story as a reporter for the Anchorage Daily News. I found the land use debate quite interesting as well. Though it was sparked off by this family's resistance to government "meddling," it was more of a backdrop to what was really going on with them. Content: Physical, verbal, and sexual abuse. For adults. Have you read anything lately that would fit my mini theme?